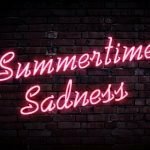 While most people like winter for its cozy nights and short days, numerous unfortunate souls among us cannot bear it because of some severe diseases that occur during the icy season, namely Seasonal Affective Disorder. This psychological issue, also known as SAD or winter blues, can turn the lives of those carrying the disease upside down, as it causes several symptoms, some which can be severe, such as low energy, appetite changes, and even depression. Among the other health issues is Vitamin D deficiency, which is caused by the decreased sunlight exposure during winter. Over the years, several treatments have been developed to help with SAD and Vitamin D deficiency, but only a few were effective, notably light therapy, which is starting to become more and more popular every day. So, why does Vitamin D deficiency occur during winter? What links this issue to Seasonal Affective Disorder? And how can Vitamin D lamps help in case you are suffering from these health problems? 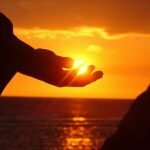 What is the Relationship Between Vitamin D and Sunlight? Unlike other vitamins that cannot be produced by our bodies, Vitamin D is actually a pro-hormone that can be synthesized by the organism given that the skin gets enough sun exposure every day. Medical News Today reports that most people can get enough from this nutrient if they expose their bare skin to the sun for 5-10 minutes 2-3 times per week. Vitamin D breaks down quite easily though, so the bodily stocks must be continuously renewed. Why is Vitamin D Vital for Our Health? Vitamin D is vital for our bodies because it helps in the calcium absorption process and therefore promotes bone growth. Vitamin D deficiency can lead to numerous diseases, including osteomalacia in adults and rickets in children. Several relationships have been established between Vit D intake and other health issues such as depression, breast cancer, and heart disease, but these results are yet to be confirmed by more studies. For all we know, people with healthy levels of this nutrient are less likely to face the mentioned maladies as well as others. How is Seasonal Affective Disorder Related to Vitamin D? Several studies suggest that those affected by SAD suffer from a vitamin D deficiency and therefore bear the consequences of such issue. According to JAMA Internal Medicine, over 77 percent of American adults suffer from low Vitamin D levels, which is a frustrating number. It’s true, you can get a supplement, but it isn’t always a reliable solution as you need the right dosage to get the most out of those supplements, which is hard to calculate in most cases. To cover the decreased sunlight exposure, scientists suggest resorting to SAD light therapy. This treatment basically relies on the use of a Light Therapy Box that can emit different light wavelengths and therefore mimics the effects of sunlight. That way, you’ll get sufficient amounts of sunlight and produce enough vitamin D even if the surrounding environment doesn’t allow it. Vitamin D light therapy consists of using a Light Therapy Box that emits ultraviolet radiations, similar to those provided by the sun, to stimulate Vitamin D synthesis in the organism. Multiple faculties have conducted several studies regarding the subject. One research, published on PubMed, found that ultraviolet light therapy is an efficient alternative to sunlight and therefore a potent treatment for Vitamin D deficiency. The study basically looked into the effects of using UV lamps for Cystic fibrosis (CF) and short bowel syndrome (SBS) patients, for whom vitamin D absorption is at its lowest. Seven patients were followed by the medical team during two studies and for variable periods. 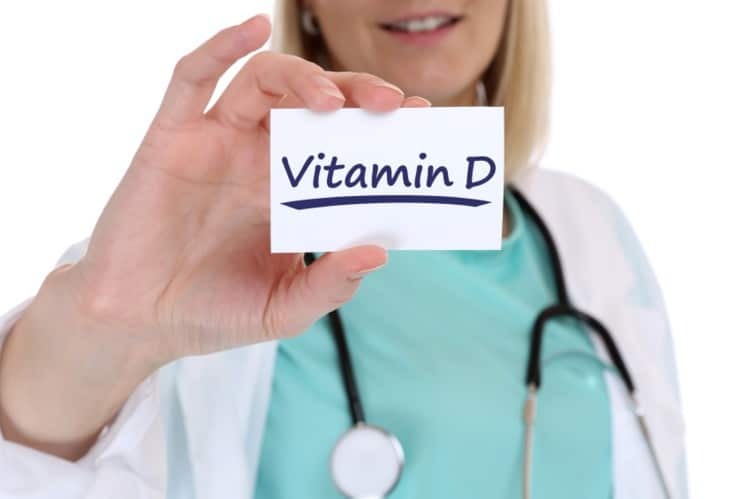 After the research was done, the researchers found that the patients experienced an enhancement in their Vitamin D levels and concluded that UV lamps are indeed practical and can help with such an issue. Light therapy comes in three wavelengths, which are reflected by three colors, Blue vs. Red vs. White Light Therapy. Each of those lights has its own purpose, but they coincide in some positive effects. 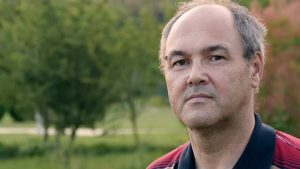 This treatment is becoming more and more popular every day as countless people have found it to be impressively effective against various diseases such as Seasonal Affective Disorder and Depression. Our eyes receive blue light thanks to photoreceptors that are directly related to the pineal gland which releases melatonin responsible for the quality of our sleep. Blue light triggers several regions in our brains to boost concentration and energy, which is why looking at the sky or the sea gives a refreshing feeling. Red light therapy is more targeted towards physical issues, such as atrophy, Arthritis, and bone density problems. Many healthcare providers are starting to prescribe Red Light Therapy Devices as part of their treatments for a variety of health issues. Full spectrum light therapy is the closest to the natural sunlight, as its Light Therapy Glasses can produce 10.000 lux, which is the nearest to the 50.000 lux emitted by the sun. This light can be used to treat tuberculosis, vitamin D deficiency, and many other diseases that were once hard to heal. Besides, this light boots the circadian rhythm and makes sleep utterly comfortable at night. Need I say more to convince you of how powerful these devices are? What Types of Light Therapy Devices are There? Besides lamps, there are several other types of Light Therapy Devices, including Glasses, sun visors, bulbs, earphones, and Dawn simulators. How Effective is a Vitamin D Lamp for Depression? Depression is mainly related to a decrease in serotonin levels. 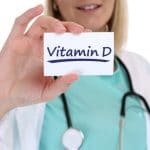 A small research that included three severely depressed women found that three weeks of vitamin D supplements consumption led to more energy and joy as the patients reported that they felt way less depressed after the testing period. Other studies published by The National Institute of Health also link sunlight to a relieve of depression and mood swings in SAD patients. That doesn’t necessarily prove that vitamin D levels are directly connected to decreasing depression, but it plainly shows that using a vitamin D lamp can help those struggling with such mental issues. How to Choose the Right Device for Vitamin D Deficiency? With many products on the market, you must be overwhelmed by the countless choices in front of you. Considering that this is health-related, you can just go with any brand, as the wrong product can cause more harm than good and leave you with severe adverse effects. Some people reported getting skin cancer because they used a low-quality vitamin D lamp. If you’re thrilled to try to heal your Vitamin D deficiency through a Light Therapy Box, but you’re hesitant because of the possible side effects, worry no more. We have done the heavy lifting and picked a lamp that meets the latest standards and provides the ultimate solution for your health issue without exposing you to terrifying risks; the Verilux HappyLight Full-Size 10,000 Lux Light Therapy Energy Lamp. Why is This Lamp Better Than the Rest? Besides being totally safe, natural, and risk-free, this lamp comes in a compact size which makes it the best product for those who need their Light Therapy Box wherever they go. Besides, it has adjustable settings to suit everyone’s needs. This is Verilux we are talking about, a leading brand in the industry, so you should be safe using the HappyLight lamp. Whether you are having a slight depressive episode or suffering from severe Vitamin D deficiency, this lamp will surely give you everything you need for a better mood, more energy, enhanced sleep, and happy life overall. Vitamin D is essential if you want to maintain a healthy life. A deficiency of this nutriment can wreak havoc on your life and turn it upside down. 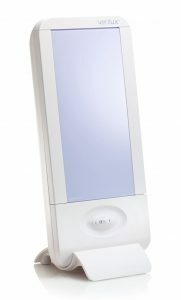 Thankfully, several solutions have been found to treat such an issue, and among the safest is using a Vitamin D lamp, notably Verilux’s HappyLight Device. Not only does this therapy help with your health issue, but it also boosts the mood and enhances concentration levels for you to have a better lifestyle. Have you tried a Vitamin D Lamp before, or are you planning to use one? Share your thoughts and experience with us in the comments!